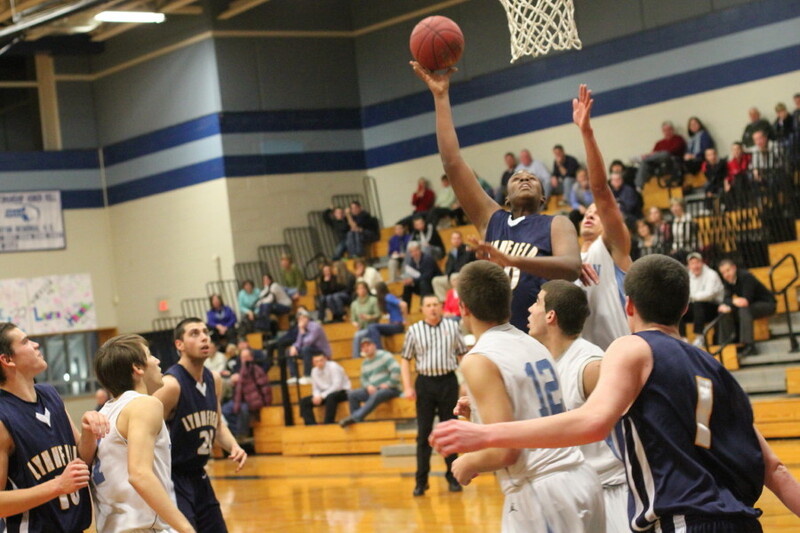 (Byfield) The Lynnfield Pioneers blew open a close game in the fourth quarter and defeated Triton, 66-53, on Wednesday night at Triton in Cape Ann League play. 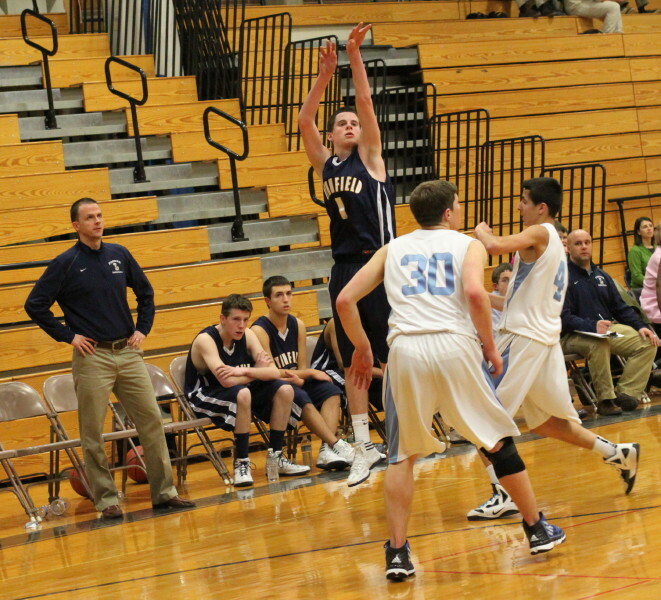 Lynnfield (5-4 overall / 3-0 in the CAL) had a tenuous, 50-48, lead with six minutes left but put a 15-2 hit on the Vikings over the next five minutes to win going away. 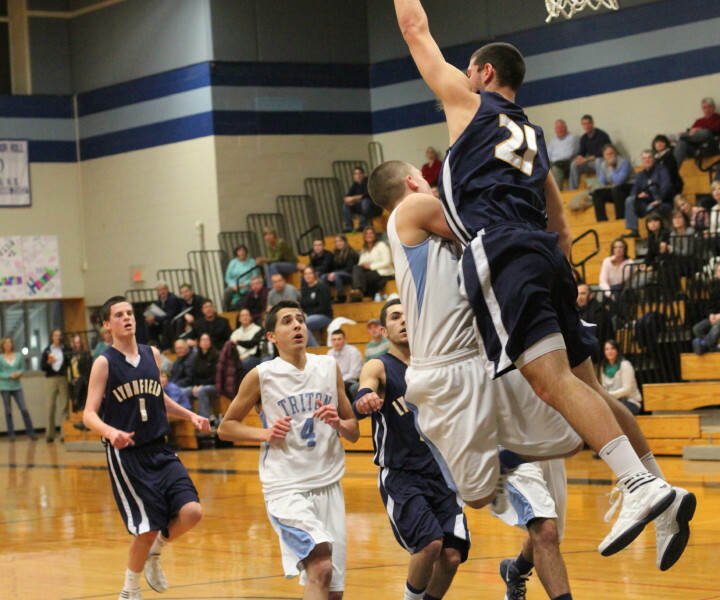 The primary villain in Lynnfield’s spurt was junior Steve Carangelo (17 points). 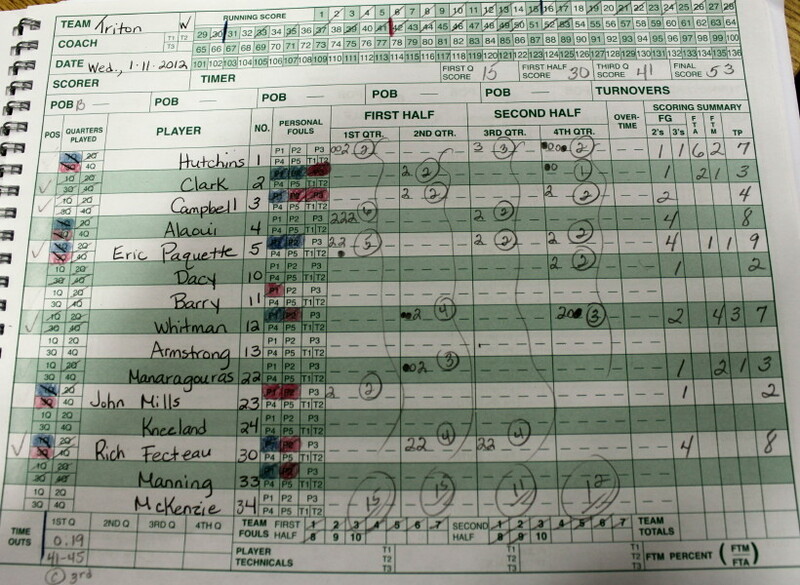 The CAL All-Star of 2010-11 registered eight unanswered points with two long ones and a layup to boost the Pioneers to a 10-point spread with 4 ½ minutes left. 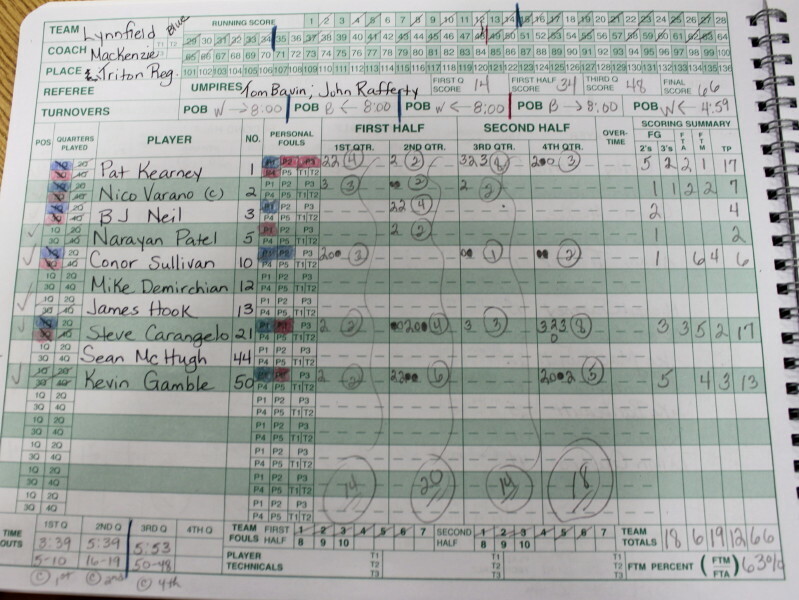 There was more Lynnfield damage ahead as Kevin Gamble (13 points) scored twice in close and added a free throw while Pat Kearney (17 points) hit a jumper. 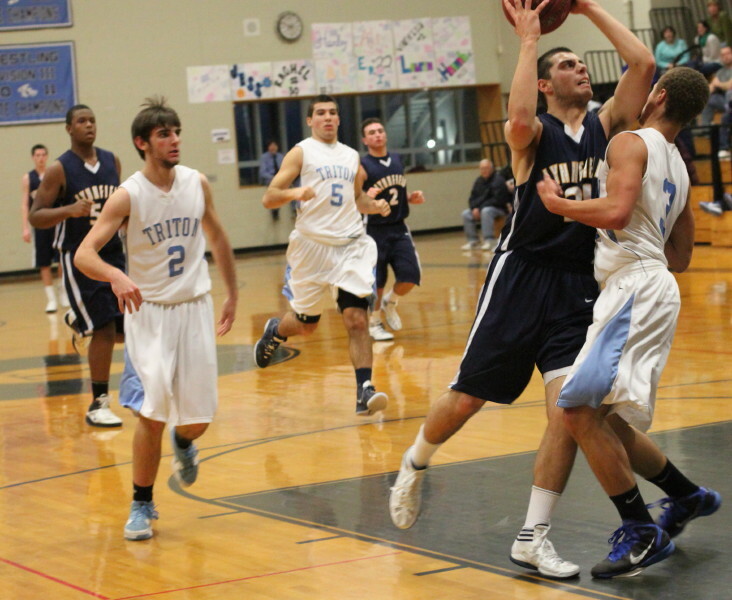 The only offense Triton had to show during all this was two Jedd Hutchins free throws. 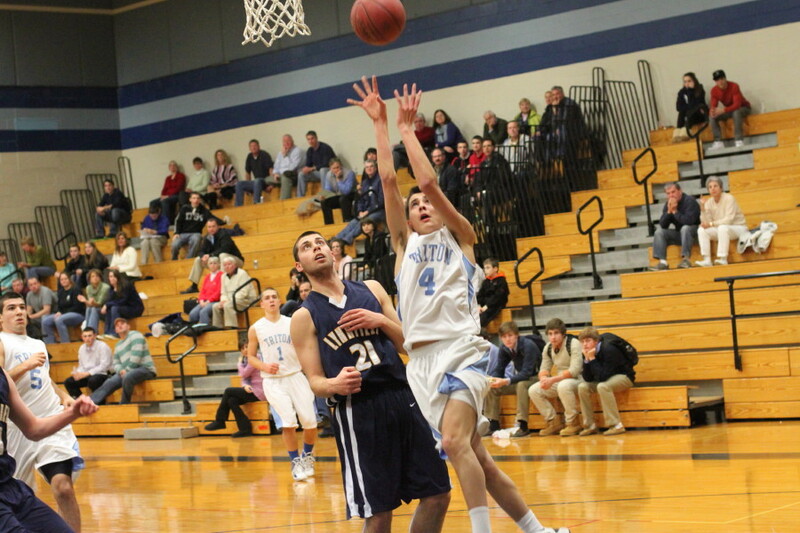 Triton (3-5 overall / 2-1 in the CAL) had 5-point leads several times in the first quarter thanks to an old-fashioned 3-point play by Derek Paquette and later a jumper by Jedd Hutchins behind a nice double screen. The Vikings looked to be in serious trouble in the 3rd quarter when they trailed, 37-30, but they responded with an 11-4 run to tie the score at 41-41 with a minute left in that quarter. 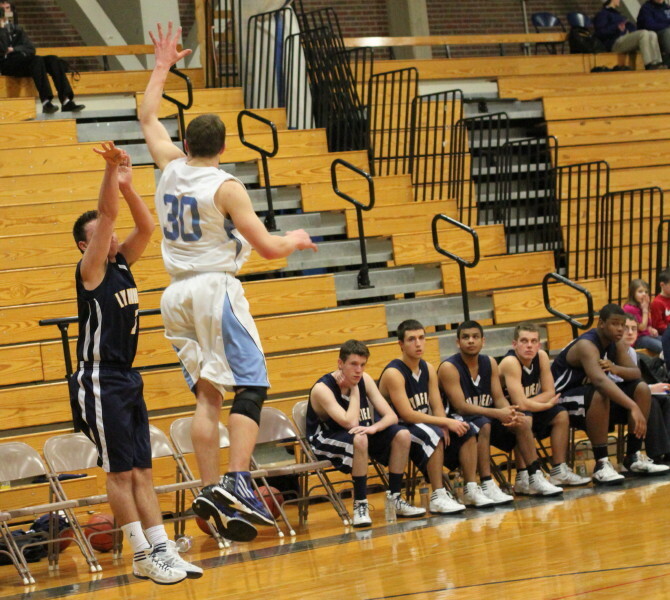 A three by Jedd Hutchins (7 points) and two layups by hustling Rich Fecteau (8 points) keyed this rally. The Pioneers pulled off some late-quarter magic in the first and third. 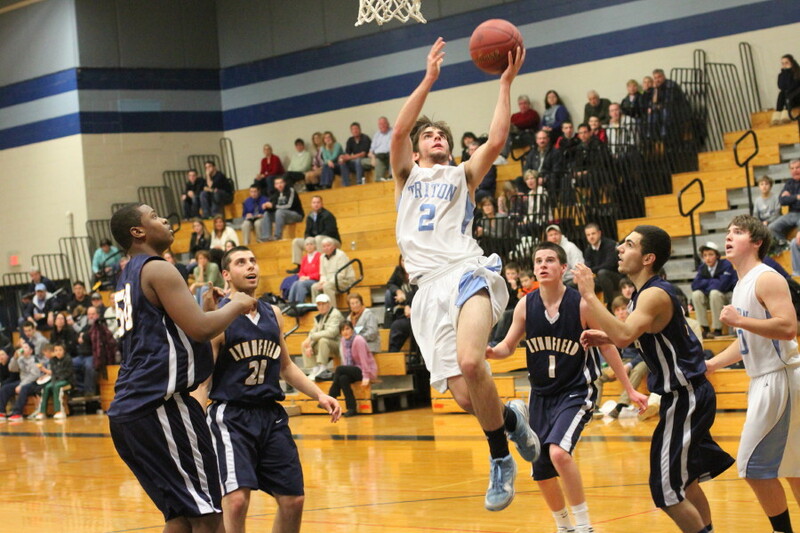 Steve Carangelo had a steal and layup just beating the buzzer to end the first quarter. At the end of the third quarter Triton tried to take the last shot but instead shot too early (and missed) giving lefty Pat Kearney time to can a long three from in front of the Pioneer bench at the buzzer. 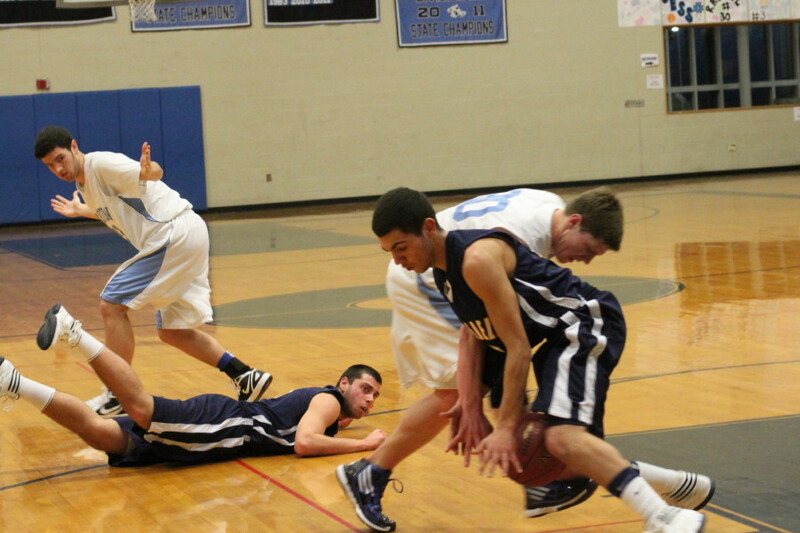 Triton coach Dave Clay wasn’t shy about using his bench and ended up with ten players scoring. 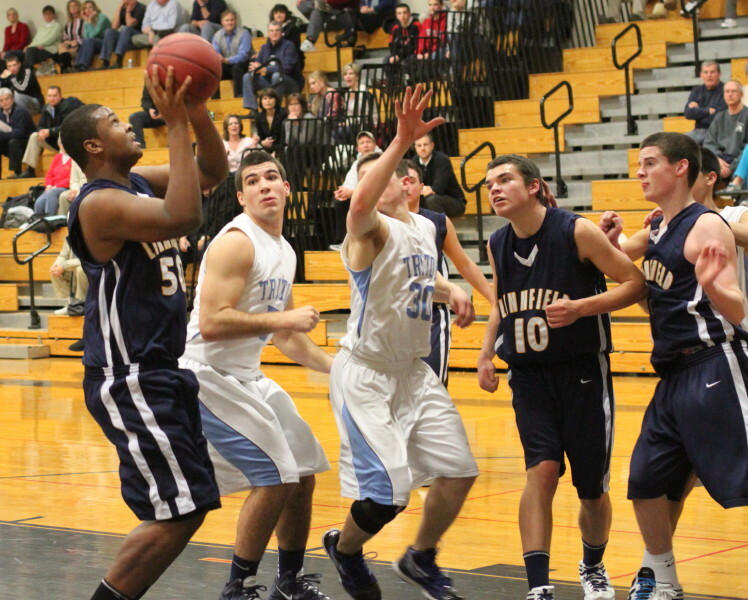 There was no fog in the Triton gym to cloud my mind but I failed to realize until later that the Kevin Gamble playing for Lynnfield and the interested parent in the crowd were connected. Yes, it was the former Celtic Kevin Gamble. 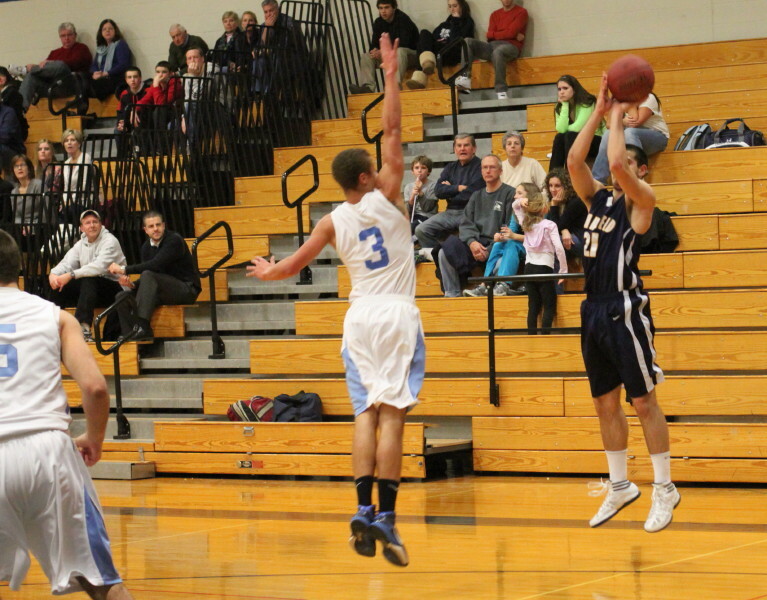 Lynnfield made six 3’s including five in the second half. Triton is at Rockport on Friday.